Jesus is called the Light of the World. In Him is no darkness, only brilliant, glorious light. The good news of the gospel is that when we receive the free gift of God, which is the life of His own Son, we are completely cleansed from all unrighteousness and forgiven from all our sin. We have become children of the light because we are now joined completely into the holy life of Jesus. Romans 8:1 says because of this exchange, there is therefore now no condemnation for us. Our adversary the devil is called the accuser of the brethren. His aim is to continually bring accusations against us that would somehow cause us to feel ashamed and hide from God. When you hear these accusing voices, declare the finished work of the blood of Jesus over your life, for it is the cleansing power of Jesus' blood that keeps us walking in the light! We have no need to hide in shame from God. Jesus Christ has secured our place in His Father's heart and His blood has covered our past sins, our present sins and our future sins. You can rest in the finished work of Jesus Christ. When He cried it is finished! on the cross, He meant it. Does this mean that we can go on living a sinful life? God forbid! 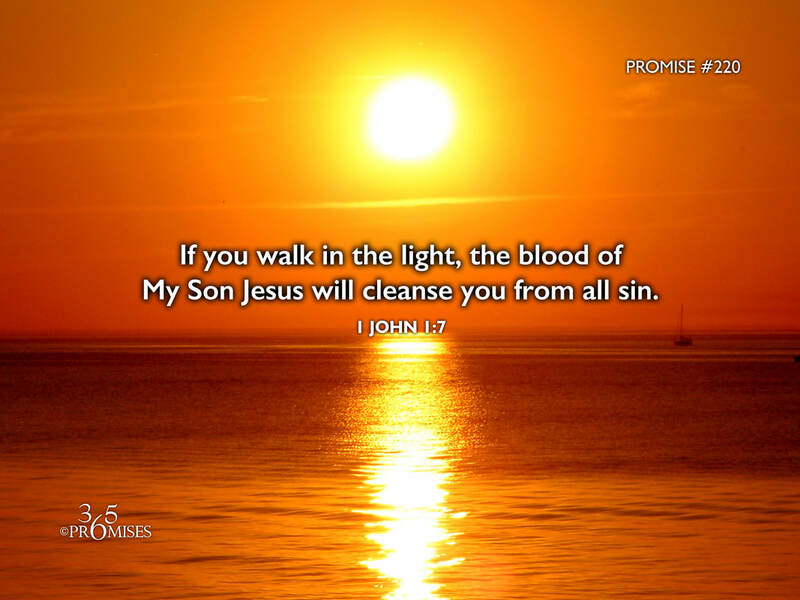 However, we can rest assured that if we walk in the light as Jesus is in the light, His blood cleanses us from ALL sin.